For the most part, the Buffalo Bills have received positive reviews for their accomplishments through the first wave of free agency. They focused their energy, along with a whole lot of cash, on upgrading the pieces around Josh Allen. The Bills bolstered their receiving corps with the additions of John Brown from the Baltimore Ravens, and Cole Beasley from the Dallas Cowboys. They found a starting tight end in former Cincinnati Bengal Tyler Kroft. They also found a starting center in former Kansas City Chief Mitch Morse, and signed other offensive linemen who will either end up starting or providing depth. Perhaps the Bills’ most underrated move was getting dynamic kick returner Andre Roberts, formerly of the New York Jets. How did the rest of the AFC East do during free agency’s opening round? Analysis: The Dolphins seem resigned to more or less sit out the 2019 season as they continue their full-fledged rebuilding project. As part of a concerted effort to clear as much salary cap space as possible, they parted ways with their starting quarterback, who was more noted for being injured than producing, and other key parts to their offense and defense. For the moment, the incredibly well-traveled Fitzpatrick looks to be the starter for his third team in the division, but the Dolphins very well could look for their true replacement in the draft. Meanwhile, the Dolphins didn’t spend a lot in free agency and figure to make extensive use of the draft to fill many holes. This might be counterintuitive to new coach Brian Flores – who knows a thing or two about winning as a former member of the Patriots’ coaching staff – but at least he doesn’t figure to be under a whole lot of pressure to turn things around quickly. Analysis: As usual, the Patriots’ approach to the start of free agency was to sit back and admire their Super Bowl hardware while others pulled players from their roster and elsewhere for millions of dollars more than Bill Belichick felt they were worth. The philosophy has served them well over a long enough period to warrant the benefit of the doubt. The Raiders gave Trent Brown the NFL’s richest contract in history for an offensive lineman. The Patriots are the same team that lost O-lineman Nate Solder to big money last year and proceeded to win a sixth Super Bowl. The Patriots also aren’t losing a ton of sleep over Flowers, their best pass-rusher, departing for the Lions to be reunited with former New England defensive coordinator Matt Patricia. The Pats plugged the Malcom Brown hole with the 335-pound Pennel, who they expect will be better against the run. Analysis: There’s a lot to like about what the Jets have done to try to maximize Sam Darnold's production. Bell gives them as versatile and talented a running back as you’ll find. Bell’s a superb receiver who can do plenty to allow new coach and passing-game guru Adam Gase to explore the limits of his creativity. And the $52.5 million, four-year deal the Jets gave him is less than he would have pocketed had he remained in Pittsburgh. Adding Crowder and Bellamy as targets should help with Darnold’s development, along with Osemele’s pass protection. Gregg Williams’ defense received a big boost with Mosley’s rangy play-making skills. The Jets thought they had another big-time defensive force in linebacker Anthony Barr, but after initially agreeing to join them, he opted to stay with the Minnesota Vikings for a five-year deal that included $33 million in guaranteed money. 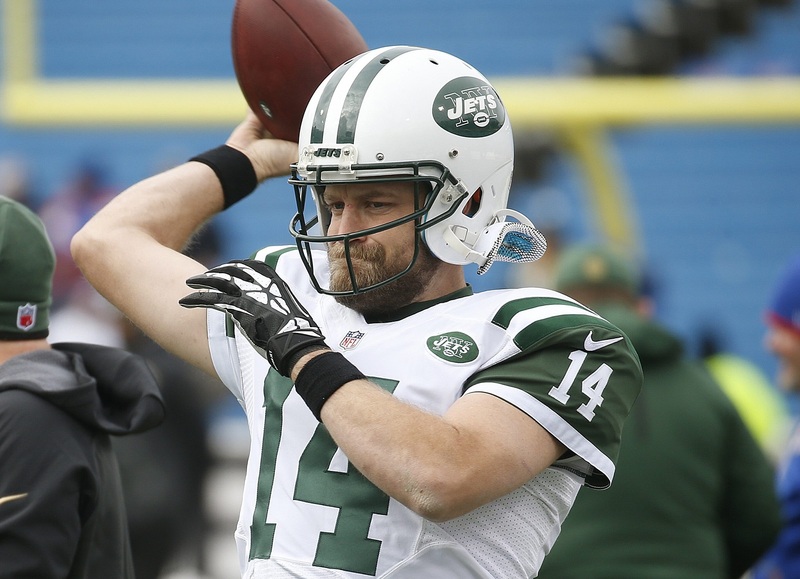 The maximum value of the contract potentially would exceed the $14 to $15 million per year the Jets were offering.